That time of the year when showing some muscle fiber in the WordPress hosting world has finally come. We’re talking about Kevin Ohashi’s yearly effort to look under the hood of managed WordPress hosting platforms and rank us. For Presslabs, it’s way too fun to miss this yearly challenge. It feels like car racing; you’re revving a bit and then competing for that one mile. This year’s results are here and we’re uber happy to see that our WordPress hosting “engine” has gained the top tier appreciation. Hooray! We really appreciate that the managed WordPress hosting providers are sorted by pricing plans—it’s fairer and brings relevant data to the table. This is the first year when we’ve competed in the Enterprise WordPress hosting category. Besides being terribly challenging, the most important thing is that we’ve got lots of ideas on how to improve our product’s performance. Double win! We decided not to pay for a re-test and go with the results, first-hand and all-in, so to speak. The randomness of the test moment is entertaining as well when the monitoring thresholds rise and notify us that Kevin from ReviewSignal is ringing the “doorbell”. Load testing is not necessarily an accurate way of simulating real-life events, but it still represents a good starting point for evaluating the performance and reliability of a service. And in the end, the numbers actually do matter. This test has been performed using LoadStorm, from 500 to 10,000 users over 30 minutes with 10 minutes at the peak. Performed with LoadImpact, where the test scaled from 1 to 5000 users for 15 minutes. It’s been evaluated using third-party services UptimeRobot and StatusCake. We are also relying internally on StatusCake for all our monitoring needs. WebPageTest has been used to test this metric from selected locations. 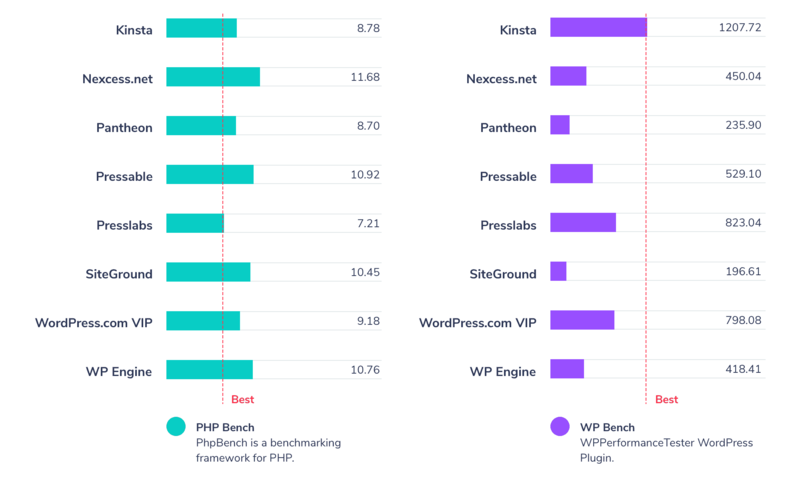 Grading of PHP-only and WordPress operations using $wpdb, performed using Kevin’s own open-source plugin. Tested using Qualys’ online tool. All in all, thank you for the insights, Kevin!